To survive the roller-coaster ride of life, with its ever-changing shifts from pleasure to pain, gain to loss, and praise to blame, requires a substantial depth of patience. 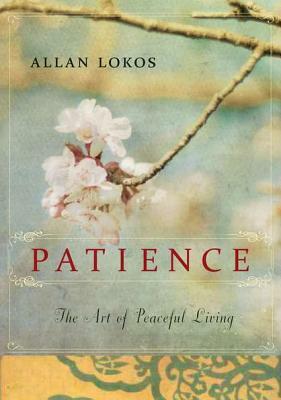 In this life-changing book, Allan Lokos sheds new light on this much-sought-after state of mind, and provides a road map for cultivating greater patience in one's life. According to Lokos, to develop a depth of patience we must first acknowledge the unhappiness caused by our impatience and anger in its many manifestations-from mild annoyance to rage. In this revelatory book, Lokos draws on his many years as a Buddhist practitioner and spiritual teacher, as well as interviews with a wide range of individuals who have had their patience tested-often dramatically so-and lays out a compelling path to the heart of patience." Allan Lokos is the founder and guiding teacher of the Community Meditation Center in New York City. A former professional singer who was in the original Broadway company of Oliver! among others, Lokos has published numerous articles and been a contributor to Tricycle magazine. He lives in New York City.